What Do TED Talks and Epiphanies Have in Common? I’ve often heard that to think outside the box (a term I’ve grown to hate) we need to expose ourselves to thoughts and ideas outside our normal frame of reference. Epiphanies often come when you tie unrelated ideas or concepts together to create a paradigm shift. involved in a project called “Eyeborg”, a sensor that translates color into sound. 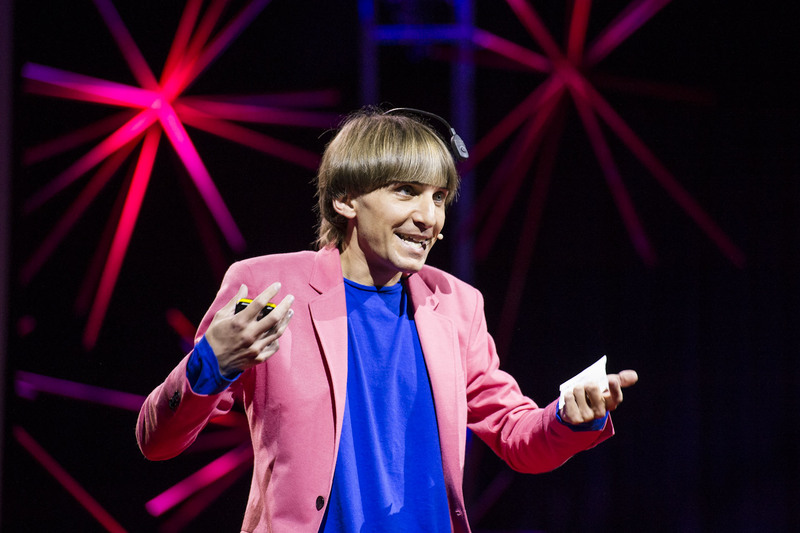 Yes, color has frequencies and via a chip attached to his occipital bone at the back of his skull, which in turn is attached to an electronic eye, Harbisson can hear colors as musical notes. Red is F and green is A. Harbisson was legally named a cyborg in 2004. Remember the Six Million Dollar Man (quick, who was the actor?). Amanda Kitts, who lost an arm in a horrific traffic accident, may be the new Six Million Dollar Woman. Todd Kuiken with the Center for Bionic Medicine, says nerve endings that control muscles in arms and legs continue to send signals to missing limbs. Thus the feeling by many amputees they still have an arm or leg even though they don’t. Kuiken takes these nerves, amplifies their signal and connects them to robotic prosthetics that react to thoughts. If Amanda thinks “open my hand” her hand opens. Mind control through robotics. How amazing is that? If you’ve ever heard Stephen Hawking “talk”, you hear a robotic, impersonal voice. It’s the same robotic voice used by thousands of other people worldwide who can’t for whatever reason speak for themselves. Rupal Patel wondered why these computerized voices couldn’t be personalized for each person. As a result, she developed a technology called VocalID that combines human voices with individual speech patterns to give these people a unique voice tailored to their own personality. Just how will these uses of technology help me to sell more promotional products? Chances are they won’t, but perhaps I can one day take something I learn through a TED talk and tie it together with other ideas for an epiphany that changes the world. 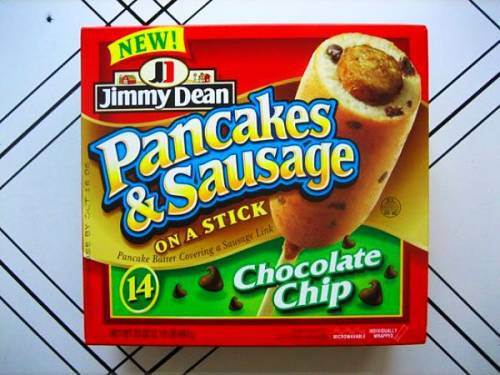 Like Jimmy Dean’s pancake and sausage on a stick. Just what the world was waiting for!